While I was working at the State Library in Montana I lobbied the GIS specialists upstairs to help the library try something different and geocode our state document collection to Montana map points. Sort of like this idea (more detail here). I still think it was a good idea and maybe they’ll get around to it someday. 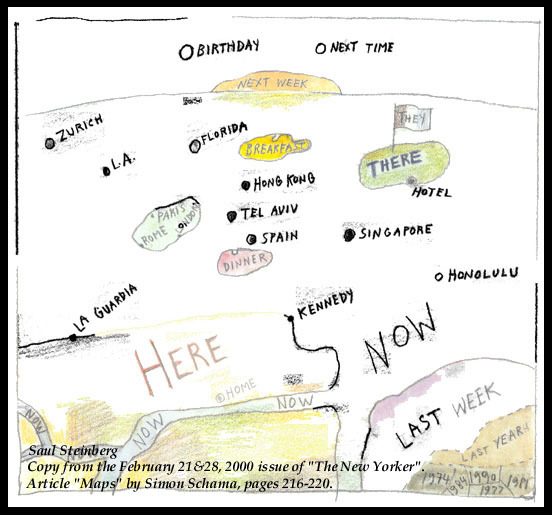 More interesting than state-produced information though is the cartography of human experience. Humanistic geography reflects on culture, thoughts, and behavior as they are associated with place. It is asking why people chose to live where they do and what places are important to them. Usually that results in stories. Or histories. It is imagining geography as something other than the scientific logging of spatial coordinates. And it includes what ethnographers call a “numinous response” (i.e., places that foster the strongest affective response such as empathy and awe or reverence.) The term is often used in reference to museum exhibits or historical sites but can easily translate to any place where a strong emotional connection to a site that matters to us is felt. Those places remain part of our personal history. And some of them hold similar emotions for others too. Mapping life events instead of writing them down chronologically. Now that’s an interesting approach to autobiography. to give me some bibliography or references on the subject I would appreciate it very much since I am a student of GIS in Ottawa, Ontario with a great deal of interest in personal geography/neogeography and social interaction.